NEXT | Have you paid your respects to a Baneling today? No, actually my Battlecruiser is not operational because I didn’t get a Battlecruiser. 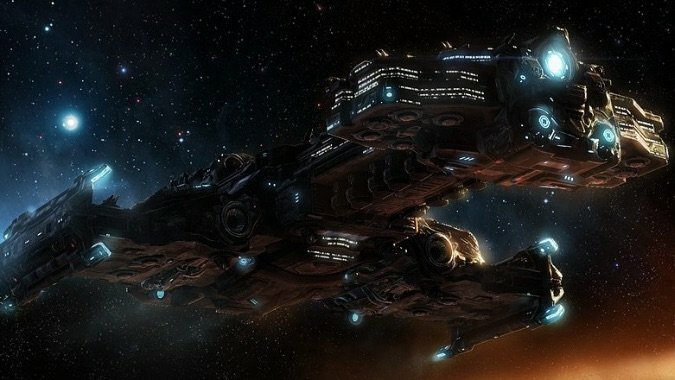 The Battlecruiser is off having adventures in Sanctuary or … uh … wherever the heck StarCraft is set these days … and I am in Azeroth wishing I had a Battlecruiser. Like every other sensible person in this world. Should Blizzard have given Warcraft players a better Starcraft Anniversary award, and since the answer is ‘obviously yes,’ what should it have been? Anything would be more interesting than an achievement. Sure, it’s a Feat of Strength, but Diablo players got a pet and Overwatch players got a skin. Admittedly Hearthstone (which got a Brawl) and Heroes of the Storm (which got some portraits) aren’t terribly exciting, but they’re both more than the snippet of text Warcraft players got. Come on, I want an awesome Battlecruiser pet to follow me around Azeroth. How do you think the idea behind Artifacts, leveling and relics went for the expansion: good idea or bad? I like the idea behind Artifacts. Before Legion was released, it seemed like this would be a way to customize your character to your playstyle. Like an alternate kind of talent tree. Customization is interesting and fun, but Artifacts didn’t wind up really doing that. Blizzard is presenting the Heart of Azeroth as offering meaningful choices, with a system that’s a little more like the Netherlight Crucible than the basic Artifact system itself. That sounds good to me. Does Blizzard not own the rights to Blackthorne? It seems to be fairly well beloved memory wise and got great reviews at the time; so why wouldn’t Blizz have capitalized on nostalgia for it by now? In keeping with the April Fool’s mini-holiday joke, do you feel there too many, too few, or just enough mini-holidays? If too few, what would you like to see added? The current range of micro-holidays is fun, in part because they’re unexpected little events. WoW’s big holidays are tied to real holidays and they’d be on a predictable schedule even if they hadn’t been in the game for a decade now. Part of the joy of micro-holidays is that they’re new enough to still have that element of surprise. Which means, to me, that Blizzard needs to keep adding and/or rotating the micro-holiday selection to keep it interesting. Otherwise these micro-holidays will soon be just as tedious as every other holiday in the game: they’ll be something we’ve all done over and over. I got What a Long, Strange Trip It’s Been in 2009… and the over-exposure to all of those holidays really exhausted me. The holidays all been redone to some extent or another, but my enthusiasm for them hasn’t returned. Micro-holidays have the opportunity to keep the holiday scene fresh. I hope they do. The new year started in HearthStone. Have they confirmed when the quest to get Lunara as the druid hero will come out? I logged in last night expecting to see it, but I didn’t. Year of the Mammoth started with the release of Journey to Un’goro, and I would expect Year of the Raven to officially start with the release of the Witchwood. There hasn’t been an official date yet, but it’s sometime this month. Un’goro was released on April 6, if you want to use that as gauge. So look for Lunara alongside a mountain of new cards in a week or two. Should you be able to choose your toon is left or right handed? More customization is good customization. Let’s do it. Though I suspect if Blizzard is going to be giving us new customization options, they’ll be more visible, like body types, faces, even eyes… all of which we’re probably getting in Battle for Azeroth, at least for some races. But more ways to make your character your own are always good. And that’s it for today, my fellow adventurers. Tomorrow is another day for the Queue, so leave your questions below for some shadowy answers this time tomorrow.